Nelson Rock and Mineral Club was formed in 1965, and celebrated its fiftieth anniversary in 2015. 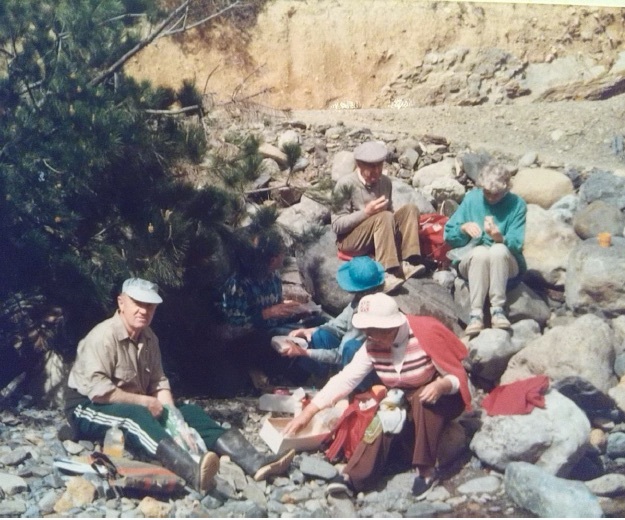 Its goal is to provide a place where anyone who is interested in rocks, minerals, fossils or other things geological can find fellow enthusiasts and join with them to explore the local area and learn about geology. The Club meets each month, both for a lecture or presentation (on the third Thursday of the month) and for a field trip (usually the following Sunday). Currently, the Club has 63 members, drawn from all over the Nelson and east Tasman area. If you would like to join us, or would like further information about what we do, please contact the Secretary. The Club is run and overseen by a Committee that meets once a month, or otherwise as needed to plan events and manage Club facilities and resources. Committee members are elected by the membership annually, at the Annual General Meeting. Minutes of Committee meetings and a copy of the constitution are available on request from the Secretary. Members: Kevin Bourne, Mary Davies-Bourne, Paul Henare, Ian Ladds. The Club operates a strict code of conduct during all its meetings and field trips. This is aimed at ensuring the safety of participants and members of the public, avoiding damage to property, and protecting the geological value and integrity of all field sites. The Code applies to members both when on Club excursions and on privately organised geological field trips. A copy can be dowloaded here. An early field outing of Club members. ​The Nelson area is intimately associated with the search for minerals, and it was a group of older prospectors, who had looked for gold during the Depression of the 1930s, who became the catalyst for the formation of the Club. At the first meeting, in the 1960s, 47 people turned up, though it was not until 1965 that the Club became an incorporated society, and membership stabilised. One of the Club's early ambitions was to obtain miners' rights for a gold claim in the Wangapeka area. After this failed, the Club began to focus more generally on mineral collecting and lapidary. In more recent years, its scope has widened further, and the Club now has active interest not just in rocks and minerals, but micro-minerals, fossils and geological history and mapping. ​For the Club's Fiftieth Anniversary, one of its long-term members, Sheila Hardwick, compiled a history of the club. To obtain a copy, click on the button below.